Scalex 880 Plus | Dentamerica Inc. 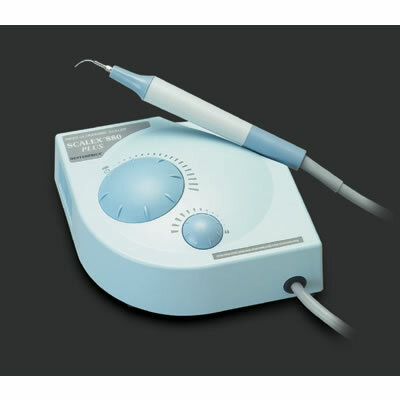 The Scalex 880 Plus from Dentamerica features state-of-the-art piezoelectric technology that is selftuning and load-adjusting for smooth and effortless operation. The special TURBO function helps remove hard calculi by increasing power relative to hardness. Its streamlined compact size and slim, lightweight handpiece offer ergonomic advantages. The Scalex 880 Plus is gentle on the patient and has a wide variety of high-quality tops with specific clinical applications.